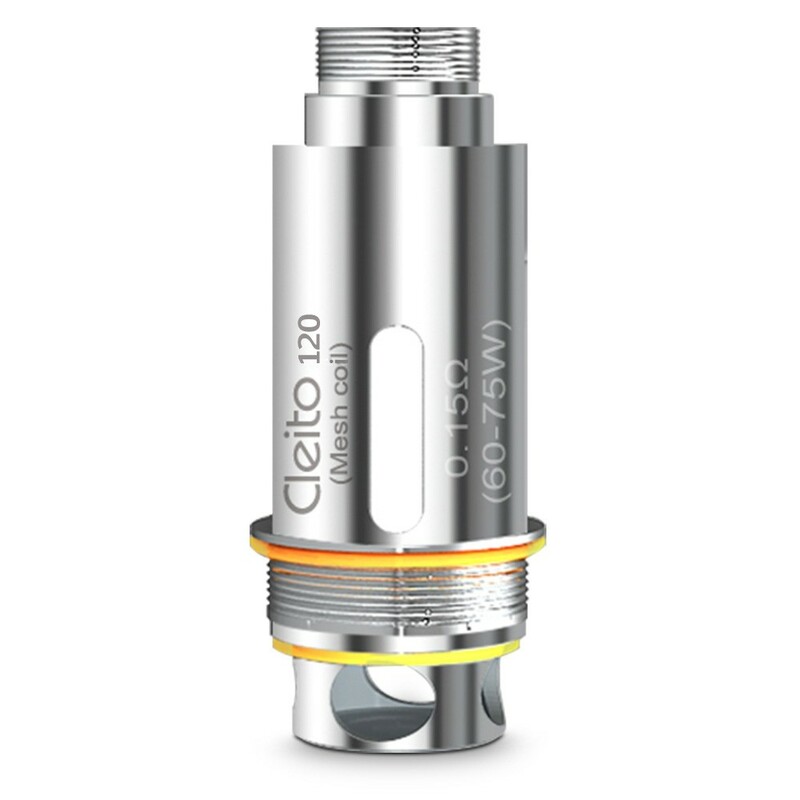 The combination of the mesh design, low resistance coils and large wicking holes means the Cleito 120 Pro Coils offers superb vapour production and flavour. These replacement coils have been designed using mesh coils. Mesh coils provide a larger surface area than traditional coils, leading to fewer dry hits, helping preserve coil life and leading to a better vape. The wicking holes in this coil are large, which helps with the absorption of e-liquid which also helps prevent burnt coils and ensure a consistent vaping experience. Combined with the low resistance of these coils, these are a superb choice for the vaper who is looking for large clouds. As with all coils, but especially with low resistance coils like this, coils should be primed before usage. To do so, simply drip a few drops of e-liquid into the port holes. Then, after filling, allow to stand for at least five minutes before using. See video below for a visual guide! Aspire recommend using wattage settings of between 60 and 75 watts with these coils.